As it has been written, “Holidays are an invariant that has never stopped changing”. History, sociology, and anthropology have a legitimate predilection for variants; philosophy prefers the unchangeable ground. By this I do not mean that the former stop at the phenomena of holidays and the latter limits itself to an allegedly invariable essence. In the time of late modernity, such a distinction sounds, on the one hand, naive (as if one could ever reach an essence independent of phenomena), and on the other, presumptuous (as if history, sociology, and anthropology were only capable of grasping the surface of the phenomena). A difference in their respective viewpoints nevertheless remains, so much so that it seems necessary that at least philosophy, which somehow seems to underestimate phenomena, justifies its attitude. Even before attempting a philosophical definition of holidays, validating its legitimacy becomes thus fitting. There are two obvious ways toward such validation. The first, which is apparently firmer, is the way that, moving from a description of the variants, reaches the verification of the invariant. This a posteriori way, documented empirically, risks being incredibly sterile though. It is some sort of conceptual SparkNotes that reduces the phenomenon under consideration to its bare bones but has no predictive power. Future holidays that have new variants either can no longer be recognized as holidays (because they perhaps no longer exhibit the invariant that has been validated up to that point) or create problems for such a definition. The second way, which is certainly more risky, presumes to be capable of reaching the essential aspect of holidays, which can somehow be determined a priori – something that is not measured by holidays and the mode of their occurrence but rather measures them. This is some sort of a Platonic idea of the holiday, which carries a lot of weight; only with difficulty, though, can it withstand the basic objection that rightly questions the foundation of the attainment of such an idea. Philosophy seems to prefer this second way and be somehow inclined toward a sky of fixed stars, which are maybe magnificently brilliant but also perhaps completely imaginary. Unless there is a third way – the third way that, in politics, is always sought after but never found. The third way, of a hermeneutic kind, explicitly admits that the idea neither sits platonically in the hyperouranium nor is it achieved through empirical induction. The idea is rather a gesture of freedom, a schema that claims to offer a model of interpretation. It does not punctually match holidays in their empirical variants nor is it derived from them; nevertheless, it measures itself against them and it even thinks it can be helpful in understanding their meaning. Such a risky hypothesis, which must be tested face to face with reality and which, by this repeated confrontation, is forced to its own constant recalibration, is, to my mind, the task of philosophy. Philosophy is not insensitive to variants; on the contrary, it is highly solicited by differences and differing. The solicitation, however, occurs precisely because philosophy desires to hold onto the essential, onto unity. This also explains why, even if it proceeds through subsequent confutations, philosophical reflection may nevertheless be read as an excavation in which new achievements do not simply set aside what had previously been said but rather deepen the unsaid in perhaps unexpected ways. This is enough in terms of justifications, which also aim at avoiding opposite yet finally convergent accusations of superficiality or presumptuousness. The philosophical gaze does not say more, it says other. It says well if it remains loyal to its own alterity. For philosophy, holidays are the sacred within time. Within space, there are natural or artificial places where the feature of sacredness is recognized. Likewise, within time, there are moments that, thanks to a specific determination, assume the traits of sacredness. Two aspects appear as essential in this process that intertwines but does not coincide with religious experience: collective delimitation and acceptance. As long as time (but something similar could be said also of space) unfolds in undifferentiated neutrality, we remain within everydayness. Everything is actual yet is simultaneously flowing. Time properly does not exist: not today, not yesterday, not tomorrow. Pure everydayness is atemporal. Pure everydayness gives way also to simultaneity without sharing. Pure everydayness leaves everyone alone in the face of the inexorable flowing of time. Time belongs to me only through my stopping it, giving it some measure, marking it with a white pebble. This belonging is never private; it demands sharing. Even when it signals something completely private (such as a birthday), it becomes a holiday only on condition that others share in the event. Holidays require a public dimension. With this, time becomes shared time. It assumes a stability to which one can refer also after the passing of seasons. It comes back. It even becomes capable of marking the undifferentiated passing of everydayness. As one can see, the two elements, delimitation and sharing, are tightly interwoven. Delimitation becomes an occasion for sharing. Experience seems to signal a (perhaps even unsurpassable) tension between these two aspects. Ontology as well as political philosophy has become an interpreter of this. In a letter, Spinoza writes, “omnis determinatio est negatio [all determination is negation].” He thus leaves us with a principle that subsequent philosophy, from Kant and Hegel onward, repeats in constantly different variants and with various attempts at its overcoming. Determination appears here at the origin of separation, not of sharing as I have maintained. The same experience seems to mark political events even more explicitly. In Utopia, Thomas More finds one of the roots of the social inequalities he aimed at fighting precisely in the enclosures, the separated fields. As is well-known, Rousseau identifies the origin of private property, and hence of an unjustified social order, in the occupation of a space, that is, in delimitation. All subsequent theories that consider private property as robbery are basically nourished with the same theoretical presuppositions. Finally, even at the level of marking time, there are plenty of experiences that show, contrary to what I have proposed, that there are numerous ways of delimiting time so as to make it my own, distinguishing it in the form of something private that gives a rhythm to the flowing of hours. Many private daily rites seem to be ways to mark time in such a manner that it becomes mine. We must conclude, then, that it is not delimitation in itself (whether it is spatial or temporal) that generates sharing given that, as we have seen, delimitation can produce, or rather tends mainly to produce, the opposite result gearing toward the private. Here too we must then suppose a third dimension, that disclosed by holidays. Within space, besides the undifferentiated space of pure nature and the expropriated space of private property, there is the public space of temples and squares. This space does not belong to anyone yet it orders the urban layout. Analogously, within time, besides the unrepeatable instantaneousness of the private and the undifferentiated natural flowing, there is a difference that orders. It is not delimitation that generates sharing. Rather, in a reversed movement, it is sharing that, in order to concretize itself, must retain a delimited space or time that do not belong to anyone yet are not simply at one’s disposal; rather, they remain as the seal of a space and time that remain other, not the product of constructive intentionality but instead spatial or temporal events escaping functional use. The Biblical precept of sanctifying holidays introduces a seal that removes holidays from one’s property and from exploitation for private purposes. For this reason, delimitation and sharing ultimately end up coinciding. Delimitation occurs for the sake of no one; it is for everyone. Holidays are usually accompanied by the practice, in the form of a ritual sacrifice or a gift, of an offering that does not imply any exchange resolution. This fact should help to understand that, as shown by the gift, the time of holidays contains a surplus that cannot be turned into money, a superabundance of pure gratuitousness. 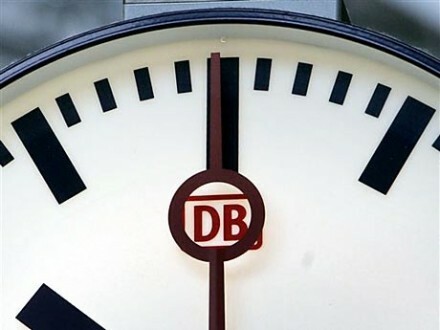 With an image I have already employed on other occasions, the clocks on German train stations carry an inconspicuous trace of this when the second hand movement halts an instant, at the end of the hand revolution. At each minute, for an instant, the second hand stops as if in a holiday celebrating the path that it has covered: it is an excessive superabundance that simultaneously marks fulfillment and succession. Holidays are a fragment of time on the basis of and around which time takes up meaning. This occurs for all authentically human experiences which, through an act of suspension, elevate fragments to being ways of interpreting the whole of experience. If one could ever record the entirety of a day or a life, one could only do so through a montage operation that selects some of the moments of such day or life. This would be the only way through which one could grasp a meaning that goes beyond the indifference of pure flowing. Gestures of affection also synthetize an entire way of understanding a relationship into a moment of intimacy that interrupts the flowing of time. If they are not this way, and instead occur as erratic boulders without reference, then they do not differ from indifference and do not light up anything. Holidays stop time in order to help us understand the flowing of time. Not only does the passing of the holiday threaten the loss of that for which it is a holiday (the anniversary that it is meant to celebrate); in the long run, it also affects and endangers the comprehensibility and liveability of everydayness as linear time. 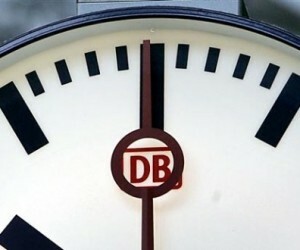 Interrupting time, holidays evoke the beginning – when time did not yet exist – and the end – when time will be fulfilled. For this reason, what every time comes back to in holidays is the surprise of birth, the novelty of beginning, the miracle that what has already been may be again. What always returns is also a vague melancholia. Because birth will have its conclusion, the beginning will have its end, and the miracle will have its fulfillment. Fearful of this, modern human beings move the celebration of holidays back to Saturdays and savor the approaching of holidays. By doing this, though, they close themselves up to the (in an Augustinian language) first and last day, to time in its fading away into the form of eternity. We modern human beings have great difficulty with everything implied by time. We have become too conscious that we are made of time and that time is made to fade away. The painful consequence of this awareness is that, in order not to be dissolved into temporality, we stop a step before time – we stop at its anticipation. It is only in this perspective (a great model of modernity and its failures) that one can understand what Heidegger has proposed in his discourse on anticipating death. By anticipating what cannot be anticipated, one gains a time that is other, what Heidegger calls one’s ownmost time, the time of authenticity (which, as its etymology attests, is that which is our own). In this way, the time that is for us without ever being ours, the time of caducity to which in truth we belong, is thrown into inauthenticity and is not understood. Bordering on beginning and end, holidays want everything. The festive and sad Hölderlin had intuited this. His attempt at joining Dionysus and Christ is not religious syncretism but rather sharp gaze that penetrates the aspect of total fulfillment contained in holidays, their anxiety for a composition that, while remembering the origin, they also prefigure as a final moment. Once again, we encounter here the intertwining of holidays and the religious. Historically, we know how important religions have been for celebrating holidays. Through their rites, religions have rendered solemn what was simply nature; they have marked for human beings the return of light; they have reconstructed, at a divine level, what was a natural happening. They have doubled time and codified it. Religions have taken away from human beings the flowing of events because they have claimed that events do not only concern humans. By doing this, they have also restituted such flowing to humans with a deeper and greater meaning. This doubling, which in the beginning was simply specular (we can think of the Homeric gods, who fought in heaven the same fights that humans fight, and are subject to the same feelings), has little by little purified itself. The temporality of the divine has marked a time other than the time of the average human being. As the Christian tradition shows and other religions too show in different ways, the liturgical year follows a course different from the course of seasons. Next to religious holidays, civic holidays have progressively started to make their appearance. Revolutions have always taken care of instituting even their own calendar, which often covered over the religious calendar. This had already happened, of course, in the case of revealed religions, which had taken up and transformed holidays of a naturalistic origin. Secular holidays though, whose beginnings are known, even too known, whereas their fulfillment is uncertain, that is, without the warrantee of the apokatastasis for which revolutions can only hardly substitute, remain in some way suspended holidays. The sacred, which dwells even in them, lacks a subject that can vouch for it. Holidays are difficult. One wonders whether they will be cancelled the next day. One celebrates holidays in a suspended time – as though it were always Saturday but without the certainty of Sunday. An intense hope could appear as the clock hand at midnight, when one cannot say whether it is the last minute of Saturday or the first minute of Sunday. After all, and we should not deny this, holidays contain an immanent ambivalence and are subject to the worst exploitations. In their ability to give order to time, holidays are a conservative force. Like the annual carnival, which for a while subverts the established order, holidays too help to render the unfree order of everydayness tolerable. As eschatological anticipation, though, holidays are a critique of everydayness. According to some traditions, Sonntagskinder, that is, children born on Sunday, knew how to perform extraordinary actions and speak in unknown languages. They drew power from the holiday so that they could affect everydayness. We have lost holidays and their names, yet we still retain memory and longing for them. Following up on one of Benjamin’s suggestions, we hope that we too, by feeding on memory and desire, may be able to correct, at least a little, the time that we are still given. If holidays, as I have claimed, reveal the sacred within time, then in the time of secularization they seem bound for a serious and even irreversible crisis. Perhaps reading the secular phenomenon as cancellation of the sacred may be a misunderstanding of what happens. It is as if one thought that with secularization all differences were to be cancelled in some kind of darkness where all cows appear black. Perhaps we should become accustomed to thinking the event of our modernity as a paradigm shift that secularizes, not insofar as it annihilates and provides an immanent solution to differences, but rather insofar as it abolishes an ordering that is a priori hierarchical and oriented toward the divine. In that ordering, holidays were already there, behind us, as the seal of a given and immutable order. Today holidays are a guiding light that indicates without granting anything; yet, they also attest the unexpected disclosure, capable of provoking wonder, of a time that possesses such a fullness as to exceed our power of control.